Flipkart had come up with its campaign #achhakiya for which it ran a series of advertisements on TV and had also filled most of the leading newspapers with this ad campaign. It also ran a hashtag campaign #achhakiya on Twitter. The messaging used in the campaign was that even after narrowing down on a product, people have decided not to buy that product instead they are waiting for Flipkart sale/deal to come up. Achhakiya nahi kahrida loosely translates as “ You did well as you didn’t buy it“ . 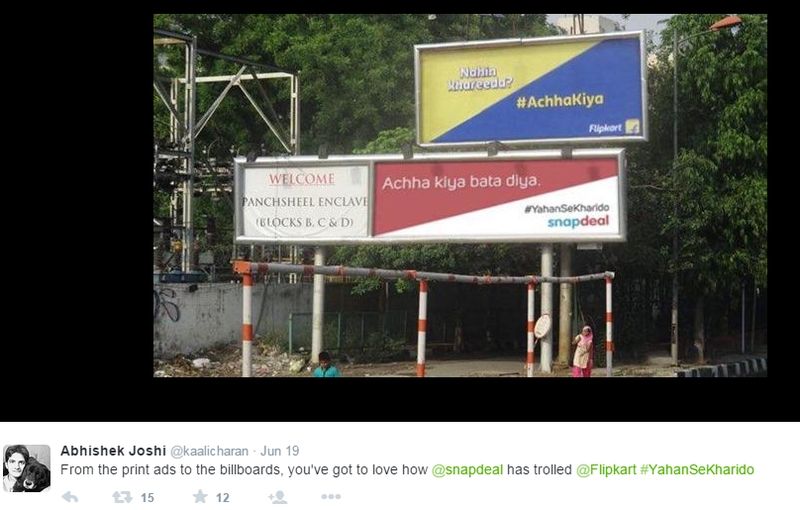 Snapdeal, a bitter rival launched an ambush market campaign to mock Flipkart’s campaign. Its messaging was that people don’t have to wait for deal when they have finalized an enticing product to buy as Snapdeal always offers the best price. So they launched #yahansekharido campaign which loosely translates as “buy from here”. Flipkart had come up with its campaign #achhakiya. 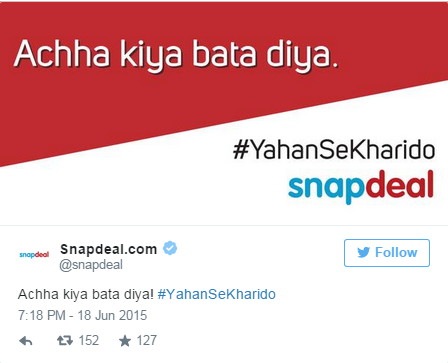 Snapdeal came up with a witty hashtag #YahanSeKharido for its social media marketing to drive home the point that you don’t have to deals your purchases and wait for best deals. 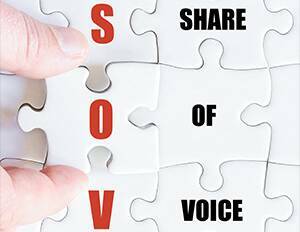 Strategic media buying will always help to communicate the message in an impactful manner. Snapdeal strategically bought billboards to impose upon Flipkart’s messaging. It can be simply put up as – If you want to put across a stronger message over your rivals’ then get more support on your side. This is precisely what Snapdeal did through effective content and engaging the right audience. So, lets sit back and predict what else do these e-commerce giants have in the bag for Digital evangelists to analyse in future.